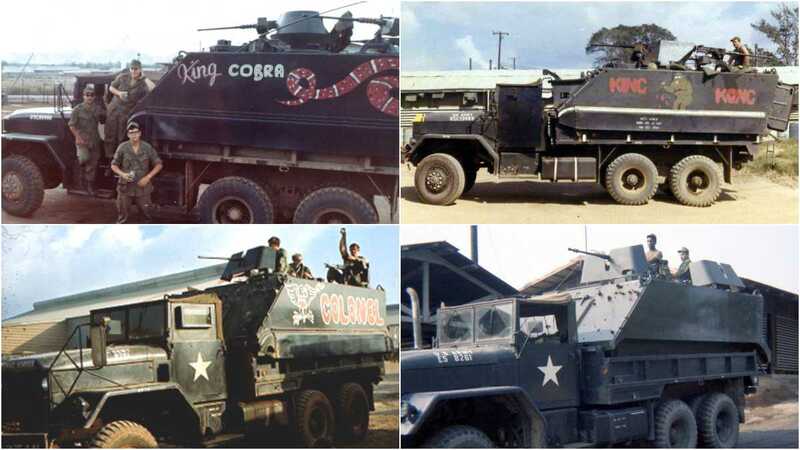 In honor of National Vietnam War Veterans Day, take a minute to remember the U.S. Army’s unauthorized Mad Max-style gun trucks of the conflict. While these gun trucks look right out of the biggest post-apocalyptic films of today, they predated those movies by generations – and in many ways are better than anything the big screen has ever come up with. While they most commonly bristled with M60 machine guns and M2 “Ma Deuce” .50-cals were popular, quad .50 Maxson M45 and M35 mounts known as “meat choppers,” which dated back to WWII, were always crowd pleasers. Johnny Cash’s 1969 hit Don’t Call Me Sue was evidently popular with the crew of this Gun Truck’s mount. 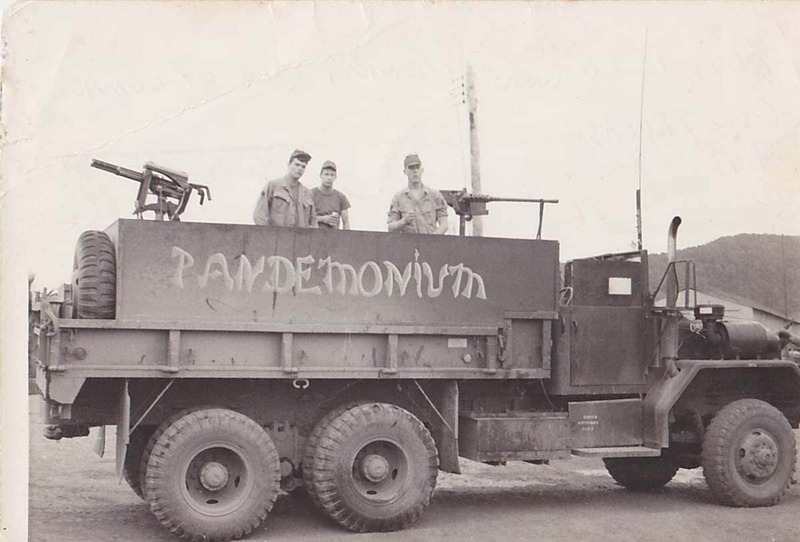 How about this gun truck of the 23rd Infantry Division, which mounted a quad M35A1 .50-cal set up dubbed the “Paris Peace Talks.” As everyone knows, if one .50 cal is fun, a quartet is a fiesta! Then, of course, there were M134 Mini-Guns borrowed from helicopter gunships, which are always good for breaking up ambushes from guys whose ballistic protection was only as thick as a set of black pajamas. Gun trucks also carried a variety of “ditch guns” in the event the enemy approached so close that the gunners could not depress the pivot-mounted machine guns enough to engage it. The loose weapons ranged from shot-guns and M-79 grenade launchers to extra M-60 machine guns stored on the filler material in the space between the double walls. Since many ambushes occurred in the mountain passes, the crew had every weapon available to respond in case the enemy advanced below the depression of the main guns. The M-79 was one of the drivers’ favorite weapons. It provided hand-held artillery. 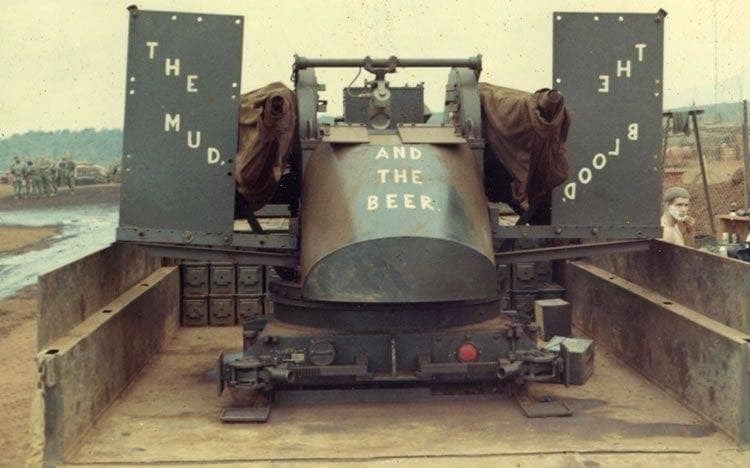 Of the estimated 100 or more gun named gun trucks that plied the highways of South Vietnam, only a handful was believed to have made it back home to the states — including The Widow Maker, The Colonel, and The Eve of Destruction. Today, Eve is on preserved and on display at the Army Transportation Museum at Fort Eustis, Virginia.